On the heels of supporting Dallas-based Flea Style, an indoor curated marketplace, with Flea Style’s inaugural flea market in Houston, 5miles wants to offer new shoppers, buyers and sellers alike, a behind-the-scenes look at our easy, breezy, fantastic and fun mobile marketplace experience. We partnered with Jenny Grumbles (of Uptown Country Home and Storage Wars fame), one of the many talented artisans who sells new and refurbished treasures on our mobile marketplace, to take viewers on a day-in-the-life journey of buying and selling, pickup and delivery (via Pickup, a cool, new local service provider), the 5miles way. Check it out: Shopping with 5miles. Share your experiences shopping with 5miles by leaving us a comment below. 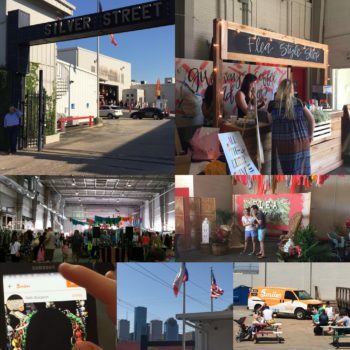 Flea Style (Houston): It’s a wrap!